Natalia’s ability to listen closely to clients and analyze their situations allows her to advocate for and effectively achieve client goals. 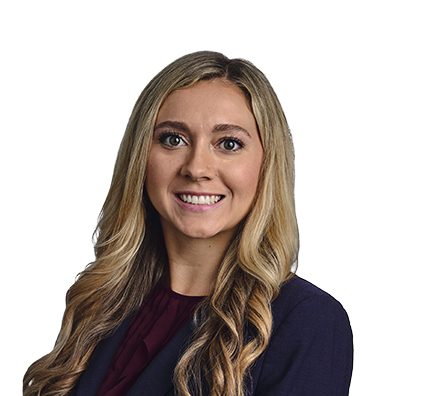 With a passion for all aspects of litigation, Natalia is a powerhouse when involved in pretrial motion practices, consumer finance matters, contract disputes, insurance law, intellectual property and technology matters, and torts. Natalia’s consumer financial practice consists primarily of assisting installment lending, finance and other companies defend their interests in alleged violations of state and federal consumer credit protection laws, including various provisions of the Wisconsin Consumer Act, the Fair Debt Collection Practices Act, the Truth in Lending Act, the Gramm-Leach-Bliley Act and the Fair Credit Reporting Act. Natalia also advises businesses on legal issues that arise with the Internet of Things (IoT), helping companies continue to connect the world. U.S. v. Microsoft: Is Your Data and Privacy at Risk? Natalia is a very active person. She runs marathons, plays soccer, attends spin classes, watches hockey and spends lots of time with her dog, Harvey.